Hashtag Do’s & Don’ts to Up Your Social Media Marketing Game | Hashtagified! If you have been keeping an eye out for news on science and discoveries, then you would know that the earliest form of human drawing known in history came into light just a few days back. Scientists have discovered a drawing on a rock found in a cave in South Africa. They did a double take after they saw that the drawing looked all too familiar. Yeah, you guessed it right. It’s official, the earliest human drawing is that of a hashtag (#) or the US pound symbol on our phones. It seems like our ancestors knew (around 73,000 years back) we would be swooning over hashtags on Insta and Twitter, come 2018. How about that for your #followfriday fact nugget? Hashtags are everywhere these days, and as a social media marketer, knowing how to use them the right will always come in handy. Take a quick tour into the world of hashtags before we discuss the do’s and don’ts of hashtag use for social media marketing. We all know how the right hashtag at the right place can turn the tables for your business. So here’s to knowing what to do and what to avoid when you are using hashtags for your social media marketing campaign. We all knew of the hashtag symbol as the pound symbol on our phones. We have also been using it for indicating numbers or using it as a prefix to numbers. However, the hashtag first came into use on social media when Chris Messina tweeted by using the hashtag as a suggestion of categorising groups and communities on the Internet. That was back in 2007. Cut to 2014, and Merriam Webster declared ‘hashtag’ (#) as the word of the day on June 23rd, and included it in their dictionary as a word. The definition of hashtag at Merriam Webster sums it up as a word or phrase with a # in front, used to classify the word or phrase as a specific category on the Internet. We have come a long way from that, and studies say that 125 million hashtags are shared on social media platforms every day. That’s quite a lot of hashtags indeed! If you are a social media marketer in 2018, you must be no stranger to the amazing potential of hashtags to strategise your marketing practices. However, even the best intentions can sometimes go woefully wrong on social media. Here is a sneak-peek into the social media etiquette world with do’s and don’ts of hashtag use for marketing. From marketers who cannot stop gushing about Instagram to the ones who swear by Twitter, everyone loves hashtags. Below are the must-do’s for hashtags if you want to stay a step ahead of the competition in your social media marketing game. Hashtags are fun to use, and should showcase your creativity. 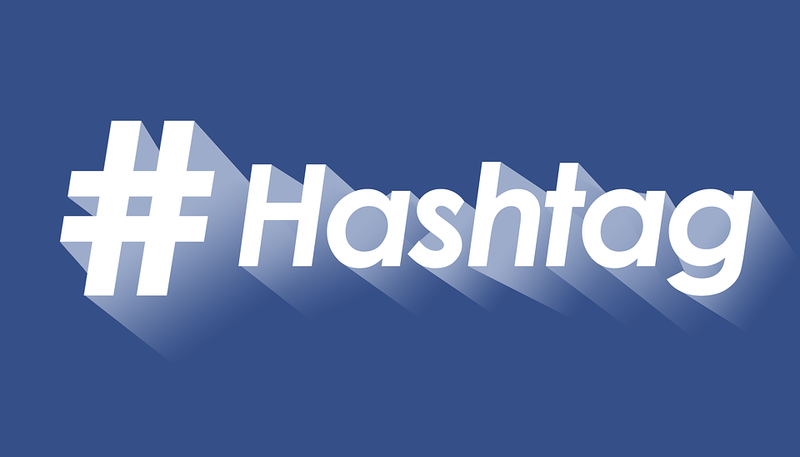 Your hashtag does not necessarily have to contain the name of your brand. You can use a lot of popular hashtags to highlight your post as well. For example, if you are an e-retailer for footwear, using #tuesdayshoesday is a clever move to get all shoe aficionados onboard. The more creative you are with your hashtags, the better the engagement rates. Put on your thinking cap and join the pun (intended)! Hashtags are, at the end of the day, promotional. Hence there is no point in making them so difficult to comprehend that users are practically clueless about them. Make sure that you create and use hashtags that they can use in their posts as well. Kew Gardens, London, came up with the hashtag #christmasatkew last year for all its social media posts. It also encouraged visitors to put up their pictures on Instagram with the hashtag for higher engagement rates and increased footfall last holiday season. Going with the flow ain’t too bad, especially when it comes to hashtags. Trending hashtags relevant to your industry can take your posts places. You would be getting more brand exposure with those #motivationalmonday or #wisdomwednesday quotes, and people are more likely to spread them around. Hence, why not make the most of the trending hashtags that gives the exposure that your business needs on the Internet? A hashtag wins the day when it transforms itself into a successful call to action. Always encourage your followers to use your hashtags through active promotions. When it comes to social media marketing, you have got to rely on the power of the people on the Internet. The more relevant and useful your hashtags are for your target audience, the more likely they are to be shared. Offer deals on sharing hashtags or come up with interactive strategies like hashtag contests over the best post by a user for popularizing your hashtags. Finally, use hashtags as fit for the social media platform. While Twitter hashtags are more formal in tone and carry a more purposeful message, Instagram posts can have unconventional hashtags that break the mould. Limit experimenting to the more informal and interactive platforms of engagement such as Instagram. Drive the more business-focused, sombre hashtags for Twitter. Like every other social media trend, hashtags have also had their fair share of all sorts of odd uses. To ensure that users find what they are looking for right where you want them to, here is what you should not do when using hashtags for your social media posts. Twitter shows high engagements rates on posts with hashtags, and the ones with two to three hashtags are more popular than the others. Keep your hashtag use per post up to three. Overstuffing the post with multiple hashtags do not always say that you are in trend. It often leads to confusion among users and enlists your post under too many hashtags, making them all redundant. If you offer musical accessories, ideally speaking, the hashtag #travelthursday might not be the one you should be going for. Irrelevant hashtags only cram up space in your Insta posts or tweets. Being right on the face is a great way to go when it comes to using hashtags, so only use the ones that are in tune with your niche audience and industry. Posts with ALL CAPS put off people faster than you know. You would not want to receive an email, text or DM with shouty capitals, would you? Your posts or tweets are just the same. It is a way of interacting with your target audience, and you would not want them to scroll on without a look at your post, right? Avoid using ALL CAPS for your hashtags unless you are using acronyms like WHO, NASA or LOL. Of course, this one’s a no-brainer. But too many social media marketers are guilty of doing this, mostly for the sake of being innovative. But keeping it short and simple is the way to go when it comes to hashtags. Think of Twitter characters every time you try to come up with new hashtags for your promotions. Limit all your hashtags to two to three words. It is best to chop one long hashtag into two short ones or shorten the words, as we do while texting someone. An occasional underscore is cool, as it livens up the hashtag from time to time. But anything beyond that is simply hashtag heresy. Words or phrases preceding a space or punctuation get cut off from the rest of hashtag, and you end up with an incomplete hashtag. Do not put punctuations or spaces in hashtags unless you want your posts looking incomplete or careless. Alice Devison, a Melbourne-based digital marketing expert, offers prompt assignment help for students through MyAssignmenthelp.com. When not providing his international clients with brilliant marketing insights, he enjoys hiking and writing enriching assignment blogs on marketing trends in the current times. CyBranding Ltd. creates branding savvy social media analytics tools to help real innovators - and their ambassadors and evangelists - emerge in an always more crowded internet market, even without big marketing budgets or strong media connections. To learn more about us, our products and our future plans, click here.